Mini Split 19 Series AC in Minisplitwarehouse.com Find The Best Deals On Daikin 18000 BTU 18 SEER Mini Split 19 Series Air Conditioner. Price: $1,429.99 ex. tax. Free Shipping and Factory Warranty. Call us 877-770-3548 or visit our website. C&H 4 Zone 36K Mini Split in Minisplitwarehouse.com Get a C&H 4 Zone 36K Mini Split Heat Pump AC Victoria Series up to 21 SEER Price: $3,374.95 ex. tax. Free Shipping and Factory Warranty. Call us 877-770-3548 or visit our website. (1) Outdoor Unit (CH36MVCT230VO) GOLD PLATED COILS! 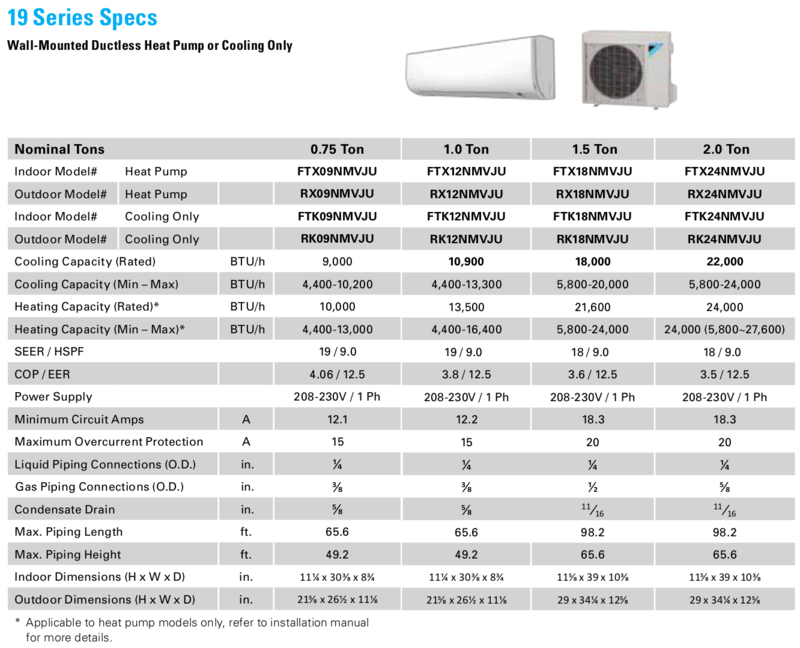 YMGI Air Conditioning Heat Pump in Minisplitwarehouse.com Get a YMGI 9000 Btu 16 Seer 110V Mini Split Heat Pump AC for $869.99 ex. tax. Free Shipping and Factory Warranty. Call us 877-770-3548 or visit our website.